﻿ Best Price on Villa Gascue Guest Apartments in Santo Domingo + Reviews! 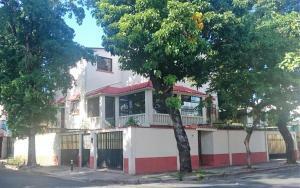 Set in Santo Domingo, Villa Gascue Guest Apartments is 2625 feet from Mercado Modelo and 2953 feet from the malecon. Free WiFi is featured throughout the property. The apartments have separate private entrance and are fully equipped with air conditioning, refrigerator, stove, microwave, washing machine, safety box, cable TV, and internet. Each unit features living and dining room, kitchen or kitchenette, and one bedroom with private bathroom. Villa Gazcue also includes a terrace. Zonal Colonial and its monuments are just a 10 minutes walk away. The nearest airport is Las Americas Airport, 15 mi from Villa Gascue Guest Apartments. Payments via Paypal are allowed. A damage deposit of USD 50 is required on arrival. This will be collected as a cash payment. You should be reimbursed on check-out. Your deposit will be refunded in full, in cash, subject to an inspection of the property. Please inform Villa Gascue Guest Apartments of your expected arrival time in advance. You can use the Special Requests box when booking, or contact the property directly using the contact details in your confirmation.